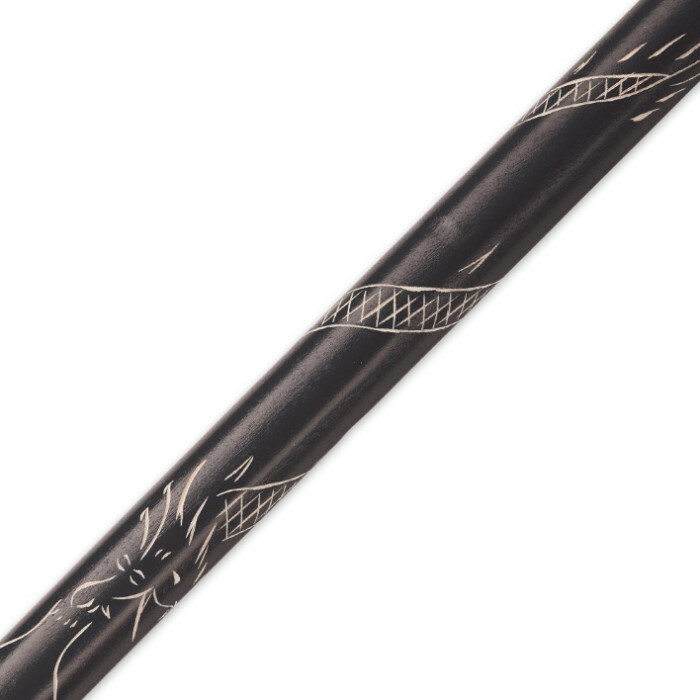 Whether you're into stick fighting or want to take a hands-on approach to your personal protection, our black hardwood escrima fighting stick is the answer. This solid piece of hardwood is thick, hefty and capable of delivering devastating blows. It features a carved dragon accent and carved black rings. At 26" in overall length, this is one mean self-defense or martial arts tool.